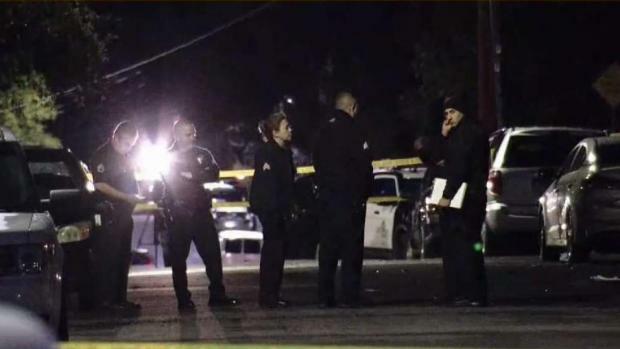 A pregnant woman was stabbed in the chest during a carjacking in the Sunland-Tujunga area of Los Angeles Wednesday. 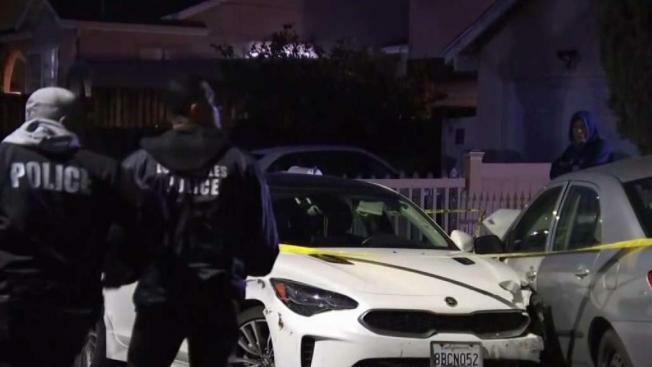 The carjacking was reported just after 6 p.m. in the 10800 block of Eldora Avenue, according to Officer Tony Im of the Los Angeles Police Department's Media Relations Section. A pedestrian asked to use the driver's cell phone, and when she rolled down her window, the man allegedly stabbed her and tossed her out of the car. A pregnant woman was the target of a violent criminal attack. Now, police are trying to find the man who nearly killed her for her car. Beverly White reports for NBC4 News at 11 p.m. on March 20, 2019. The victim was in critical condition when taken to a hospital, he said. The man was described as 22-27 years old, 5 feet 10 inches tall and wearing a black, possibly Pittsburgh Steelers, jersey.